Remember that it’s in the way you move—no matter how intense, no matter how subtle. You are the in-the-moment kind of girl, who celebrates the powers of her senses. Remember to walk slowly—sometimes barefoot—to feel the source of life and abundance on your soles. Remember that it is totally fine to run wild and express the fire in your heart. Be not afraid to be exactly where you are—in the now, pulsating and breathing in all the beauty and awe around you. Remember to truly marvel at both light and dark—watch stars as you lie awake on the grass or the sand. Never forget to surrender your spirit to the enormity of the sky. Stay there, and linger more to look above and reach the farthest beads of the night until you become one of them. Watch the sunrise and give yourself away to every change of colors, to every memory washed by nostalgia, to every epiphany that finds your deepest core. Never be afraid to be quiet with someone. Never be afraid if others hear your sighs. Never be afraid to cry in honest vulnerability. Remember to hold someone else’s hand—sometimes tightly and oftentimes tenderly. Remember that when you do so, you make others feel that they matter and that they are beautiful. Hold others’ hands, faces and shoulders, because you are not anxious about being intimate. Find meaning in sharing the littlest of human spaces with another soul. Never be anxious to touch and feel—and to be felt. Remember that your sensuality is in the way you wrap your arms around a dear one and whisper wishes, kind words and even prayers. It’s in the way you touch your lover’s skin—softly, achingly and just delight in the silkiness of the moment. It’s in the way you look into their faces and get electrified or inspired with the unique appeal of the human face, because no one looks the same. Even the moles, scars and other marks add to the charm. Your sensuality is in the way you sniff the morning from his or her mouth and leave traces of your lips on his or her neck—and entire body. Take pride in this—you are the woman who lavishes in feelings, in textures and in the untouchable energies that please the body, mind and spirit. Never be ashamed to touch yourself—to run your fingers all over your legs, thighs and breasts—and feel enough, feel gorgeous. Find time to stand in the shower and find beauty as the water flows upon your hair, clavicle and belly button, for you know that every part of your body is sacred. And always remember to dance naked alone (or with someone). You are the Sensual Woman—you give your senses away to places and people. You know what it truly is to make love. Remember your gift to feel the richness of a look, a sniff or a moan—and the energy that touches both the skin and the soul. 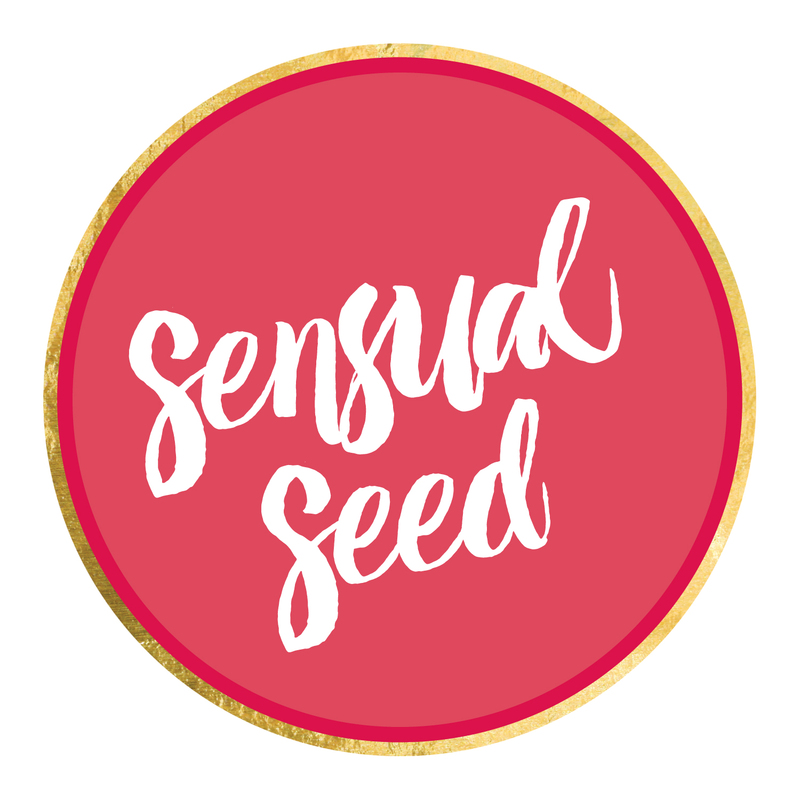 Click here to get the Sensual Seed Oracle Card deck or original artwork.